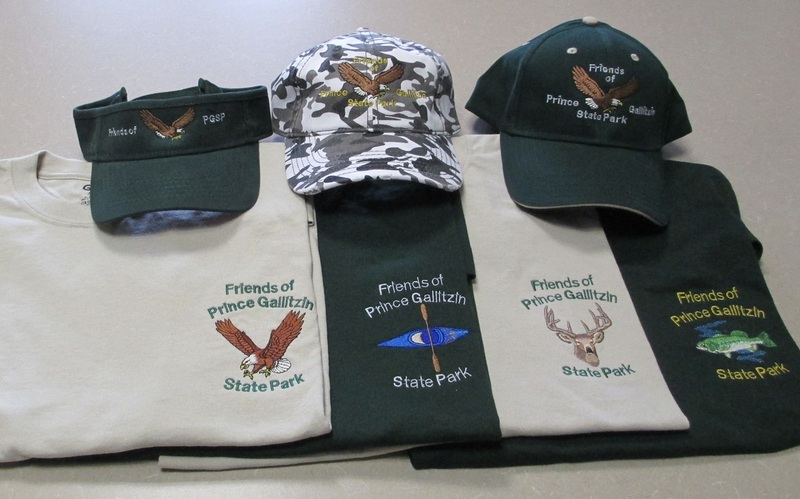 The Friends of Prince Gallitzin State Park have available for sale, hats, visors, T-shirts, and hoodie sweatshirts. The items have a new Friends logo available with an eagle, kayak, deer, or bass fish. Friend Members get a $5.00 discount per item. You can become a Friend and/or contribute by clicking on this link and mailing the form to the membership coordinator. Or you can become a Friend Member at the Main Park Office when purchasing the items. The apparel can be purchased at the Park Main Office at 966 Marina Rd, Patton, PA, 16668-6317, 814-674-1000. Please stop by and get your apparel to support the Friends Group. Show your current Friends membership card to get the discount. All proceeds are used to support projects and activities in the park.